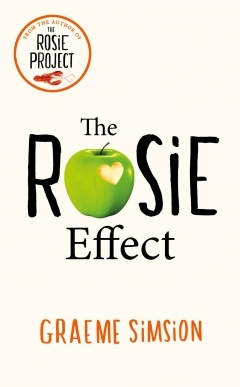 The Rosie Effect opening line: Orange juice was not scheduled for Fridays. After reading this book I definitely want a job as a proof reader! Ordinarily I would not add a book to my recommended list when it is riddled with errors. In The Rosie Effect, a passenger gets into a car via the driver’s door, coffee turns to wine, and the Italian word si is thought to be the word for yes in French (oui would have been the correct word). But, then is something so endearing about Don Tillman that I loved every minute of this book. Graeme Simsion has written a novel that I can relate to. It had me laughing out loud and hoping that Don can save his marriage after his wife, Rosie, announces that she is pregnant. This event, like the orange juice, was not scheduled and results in life being turned upside down for Don, a man who thrives on routine. Your candid review is indeed refreshing! I am glad to hear the plot and charaters made up for the spelling and diction!